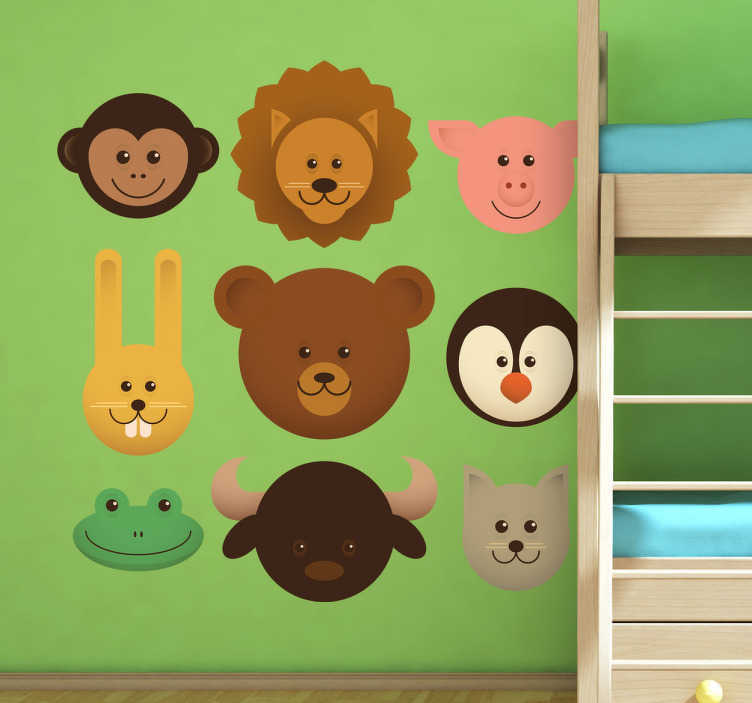 Kids Wall Stickers - Playful fun illustrations of various animal heads. Colourful collection of nine stickers great for decorating areas for children. Set includes a monkey, lion, pig, rabbit, bear peguin, frog, bull and wolf. Available in various sizes. Made from high quality vinyl. Easy to apply and easily removable.